Marsh-mallow is an attractive plant with small clusters of large, pale pink to almost white flowers about 4cm in diameter. The stems, which die back in the autumn, grow to about 1.2m and have a downy stem and greyish, triangular, leaves. 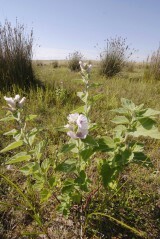 Marsh-mallow flowers from mid-summer to early autumn and these are followed by the flat, round fruit. 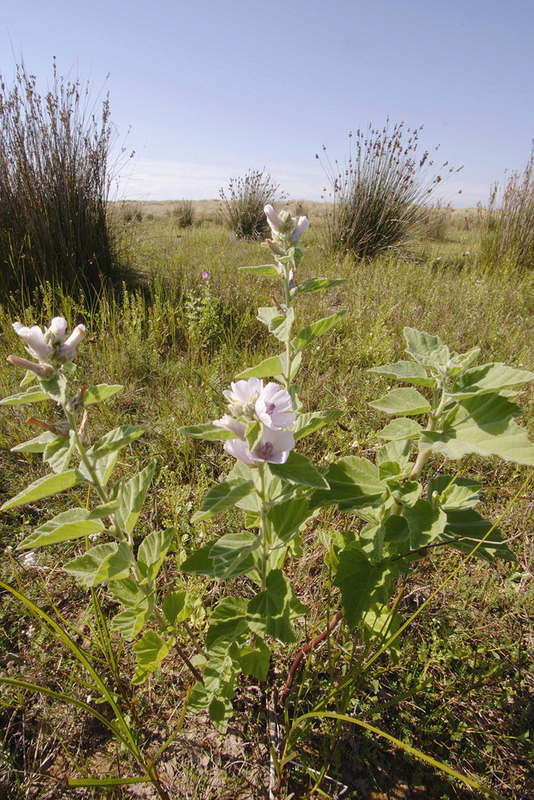 Marsh-mallow is a native perennial most often found near the sea growing in the transition zone between saltmarsh and fresh water habitats and also on the banks of tidal ditches. It prefers relatively rich soils that maintain moisture and is intolerant of grazing and cutting. The sap extracted from the leaves and roots of marsh-mallow have long been used as a treatment for the irritation of the mouth and throat as has its use to make sweats where it is mixed with nuts and honey. 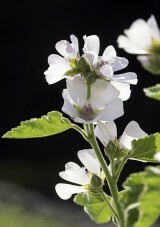 As far as I can find out the modern marshmallow has nothing to do with the wild flower Marsh-mallow. It may be that the texture of this confection is similar to an original medicine or sweet. 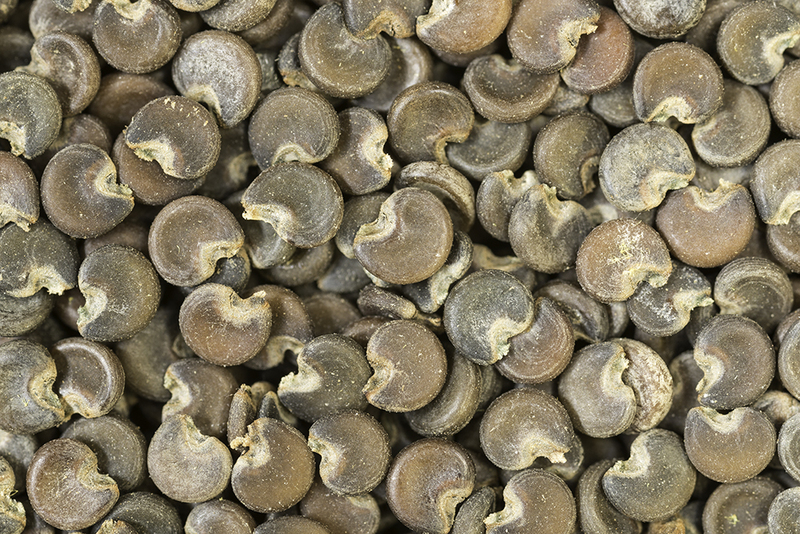 The seed requires a period of chilling to break dormancy so it best sown from late summer to late autumn.